Amazon has an expansion plan in central Ohio. A distribution operation is coming up in West Jefferson and will add 1,500 jobs by the end of 2019. It is the sixth major distribution center of Amazon in Ohio and the third in the Columbus region. Mark Stewart, Amazon, Vice President of Customer Fulfillment in North America said presently, Amazon has a commitment to provide better employment opportunities. It also aims to create a positive economic impact in the region. The growth in Ohio was achieved as a result of the efforts of an exceptional workforce and great customers. He was happy to add 1,500 new jobs to above 6,000 Amazon employees who are presently working in the state. 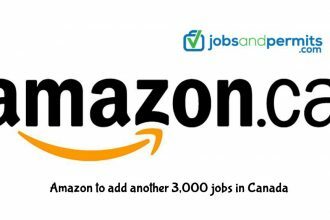 This announcement comes after Amazon continues the search for sites to build its second headquarters. This is a huge project that involves 50,000 jobs and also an investment of $5 billion. Columbus figures among the 20 finalists for this project. Amazon will soon announce the winner, and the construction will commence in 2019. Additionally, Amazon has distribution centers in Etna Township Licking County, Obetz in central Ohio, and in Columbus. These offer Prime Now services. It also has a plan to open distribution operations in North Randall, Euclid near Cleveland and in Monroe in south-western Ohio. The project in West Jefferson will be huge in comparison to other distribution centers. This facility will cover 855,000 square feet, and workers will perform picking, packing and shipping services. The items to deal are toys, electronics, house wares and books. Ray Martin Mayor West Jefferson stated that he was excited that Amazon is building a fulfillment center here. This will help in building a strong community for all. He was proud of the business climate which has attracted industry leaders like Amazon he added. This announcement is a welcome addition to the string of projects worth $2 billion which are developed in Ohio by Amazon since 2011. Moreover, Amazon has three data centers and wind farms in Ohio. Kenny McDonald, Chief Economic Officer Columbus said this was a great development for Madison County and West Jefferson. They have a real presence in central Ohio in the sector of logistics fulfillment. This also reinforces the fact of a flexible and capable location. Amazon views Ohio and central Ohio as worthy places to do business and this also is critically important.